Are you looking to get organized during this busy time of year? Are you looking to have everything in place and ready before the fall festivities kick in? Do you have plans to get your meals prepped and planned before the holidays? Are you looking for a way to preserve your traditional recipes or create a budget for your seasonal shopping? If you need a little extra help getting your fall plans finished, check out this great deal at Walmart on the Scotch™ Thermal Laminator. The Scotch™ Thermal Laminator is on rollback during the months of October to December for only $17.88! Laminators are typically priced at $19.97 so this is the time to buy! 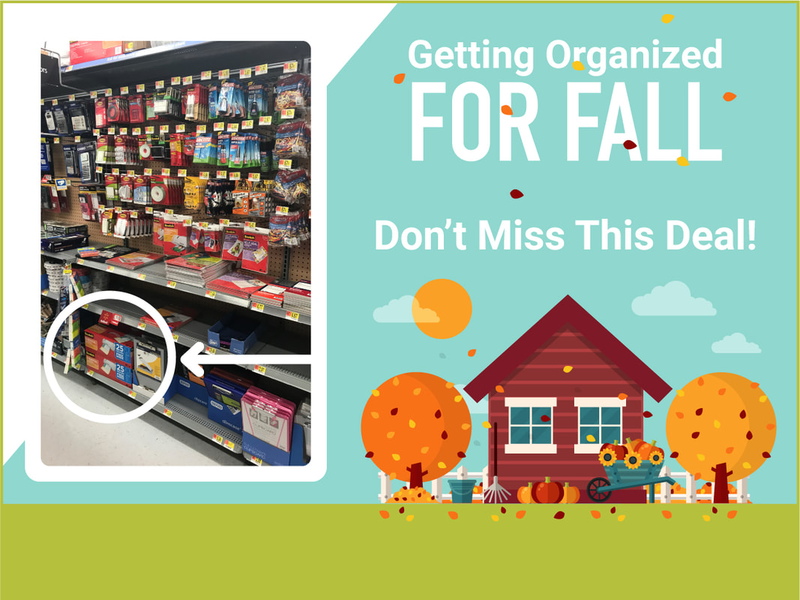 I know how important it is to save money when you’re getting organized for the fall, so be sure to check out this great deal at Walmart! Yes to organization!!! I love it. Thanks for the recommendation!! So useful for when the kids are in school. somethings need to stay dry. Wait, how does this work? I saw this thing on a youtube vid recently - it’s like a cross between cling wrap and wax paper. Is this it? I really need to start getting organised for fall and Christmas now!! It creeps up so fast and without realising I always end up panic buying gifts!! This is such a great idea to keep documents save and dry. I like saving money so I might check out on this one. That would make a lovely gift for teachers this Christmas. I know it's only October, but I'm starting to plan for the holidays!